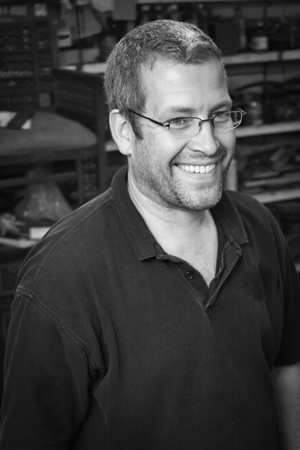 Simon Lorkin has been restoring dashboards and wooden trims, along with all types of Antique furniture since he set up his antique restoration business in 1991 in Shere, near Guildford in Surrey, England. From time to time clients asked me to restore their dashboards or wooden interior trim after using my fine antique furniture restoration services. People also came to me saying that they didn’t know where to find someone to restore the wood trim and dashboards of their classic cars. So, taking my extensive knowledge and experience from antique restoration, I decided to create a website dedicated to the needs of clients in the process of restoring their or their client’s classic cars. 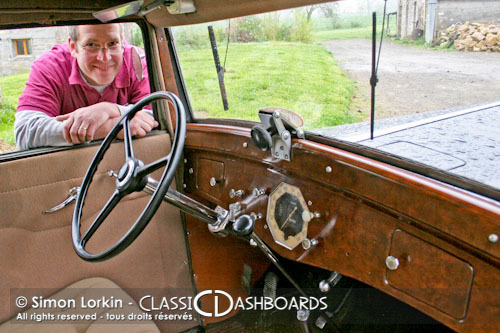 Thus Classic Dashboards was created nearly twenty years ago. I was based in Shere near Guildford in Surrey (England) for 13 years. In June 2004, looking for a new adventure, we moved our home, business and family to Normandy in northern France. Sabina, my wife and I decided to move to give us the opportunity of having our home and my workshop together. It had always been our long term dream. It means that I no longer have the daily commute of at least 50 miles and we can enjoy lunches together. Our two sons enjoyed having their Dad working from home when they were young and are now well advanced in the French school system. We also decided to enlarge our family and in 2007 had our daughter, who’s now in secondary school. We bought a property with a house and two barns set in eight acres of farm land, with my workshop and office occupying one of those barns. It is around 30 metres away from our house and and our property is situated in the rural countryside. My main working areas are in two ground floor workshops and first floor storage and office areas. We’re about an hour and a half away from Cherbourg in Normandy in a small village called Montbray. The two main towns nearest to us are Villedieu-les-Poêles and Vire and we are about half an hour away from Avranches and Granville. Our property is situated on the side of a valley with views reaching for miles and from time to time the local farmer uses our larger field for some of his dairy herd. Would you like to read the article that appeared in ‘Living France’ Magazine? If so click on the image..